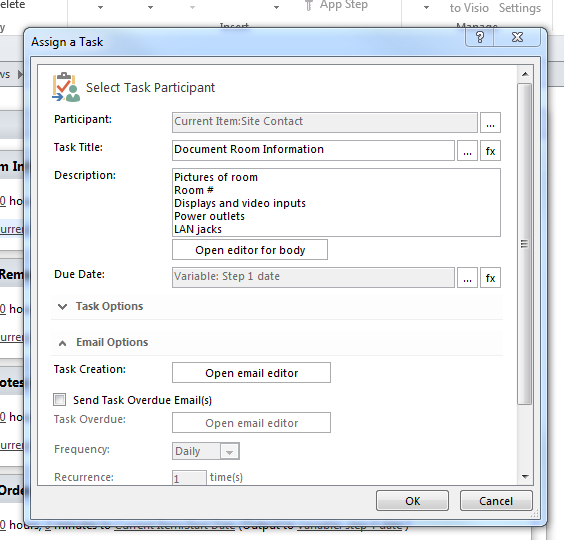 I've developed a workflow in SPD 13 that assigns tasks to multiple users. Each time the workflow runs, these users get an email that they have been assigned a task. 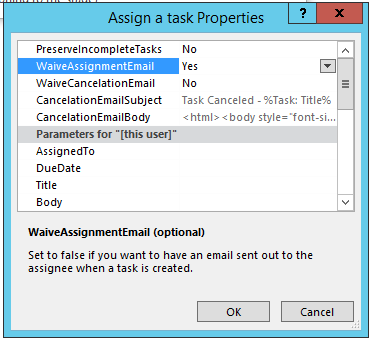 There is a "WaiveAssignmentEmail" variable that you can set to "Yes" and it won't send out emails when the task is assigned. Not the answer you're looking for? Browse other questions tagged email tasks task-list sharepoint-email workflow-tasks-list or ask your own question. Overdue task email notifications out of the box? How to store TaskID for later use?